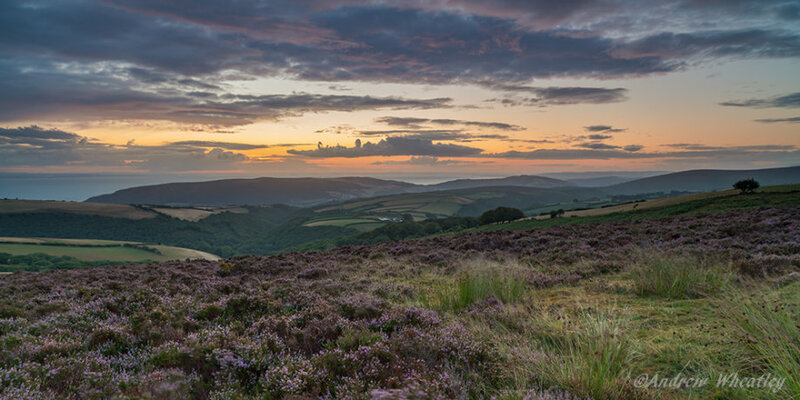 Daybreak finally arrives on Porlock Common as the cool hues of dawn appear on the heather and fields above Hawk Combe with views over North Hill and the Bristol Channel on a very chilly August morning in Exmoor National Park. Berry Castle Combe. Somerset. Aug 2018. Location: Berry Castle Combe.Exmoor National Park. Somerset.